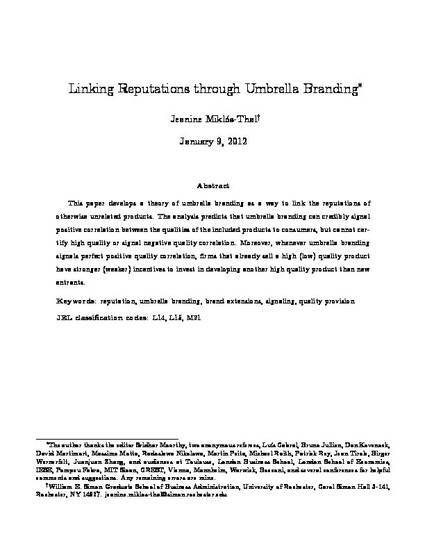 This paper develops a theory of umbrella branding as a way to link the reputations of otherwise unrelated products. The analysis predicts that umbrella branding can credibly signal positive correlation between the qualities of the included products to consumers, but cannot certify high quality or signal negative quality correlation. Moreover, whenever umbrella branding signals perfect positive quality correlation, firms that already sell a high (low) quality product have stronger (weaker) incentives to invest in developing another high quality product than new entrants.